Are you sometimes distracted by background thoughts or chatter in your head? If you meditate, is it a struggle to 'quiet your mind'? Do you suffer from intrusive, racing or obsessive thoughts? Are you someone who 'hears voices' but are otherwise mentally well? Have you been diagnosed with schizophrenia (or other mental illness) that includes auditory hallucinations? Mind chatter and a common fungal infectionYou have in your hands a story of 22 years of effort to understand the cause of 'voices' and the search to find an effective treatment. Written like a detective mystery, you'll read about our successes - and our failures - as we slowly solved this baffling and heartbreaking problem. Filled with unexpected twists and turns, we eventually discovered that the underlying cause of all these symptoms is a common fungal infection located inside the cells themselves. Our species is capable of such amazing heights - yet struggles with cultural limitations, prejudices and war. Completely unsuspected until now, the same pandemic fungal disease that causes ‘voices’ is at the root of these terrible global problems. Written for laypeople and professionals alike, these pages introduce the concepts necessary to understand the biological origin of these symptoms. 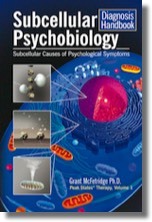 But theory is not enough for the millions of people who suffer from these problems - we include simple, fast, non-drug and well-tested treatment techniques based on the newly emerging fields of subcellular psychobiology and psycho-immunology. This Peak States® Therapy volume 2 is a companion to Subcellular Psychobiology Diagnosis Handbook, Peak States of Consciousness and The Basic Whole-Hearted Healing® Manual. W tej przełomowej pracy autor pokazuje, jak uszkodzenia wewnątrz samej komórki mogą być źródłem symptomów psychologicznych i fizycznych. Po raz pierwszy objaśnia różne symptomy psychologiczne – od traum po poważne choroby psychiczne – przez pryzmat problemów biologicznych na poziomie subkomórkowym. Podręcznik ten opracowano jako materiał referencyjny dla terapeutów i psychiatrów stawiających diagnozy i podejmujących leczenie klienta. Zawiera on opis ponad 50 chorób i zaburzeń w komórce, a każdy z nich obejmuje krótką charakterystykę przyczyny wraz z ilustracją przedstawiającą dany przypadek na poziomie biologii subkomórkowej, diagnozę różnicującą oraz standardowe techniki quasi-psychologiczne, które pozwalają szybko i skutecznie wyleczyć owe problemy biologiczne. • odwołanie do kategorii ICD-10. 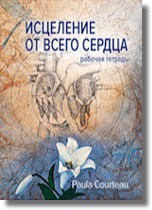 Niniejszy tom serii Peak States® Therapy jest uzupełnieniem pozycji Szczytowe stany świadomości oraz podręcznika The Basic Whole-Hearted Healing® Manual. Данная новаторская работа показывает, как психологические и физические симптомы появляются на базе повреждений внутри самой клетки. Впервые психологические симптомы, варьирующиеся от травм до серьезных психических заболеваний, могут быть объяснены с точки зрения биологических проблем на субклеточном уровне. Это пособие разработано специально в виде справочника для терапевтов и психиаторов для диагностирования и лечения клиентов. Оно содержит более 50 заболеваний и расстройств клетки, в каждом из которых даётся краткое описание причины, иллюстрация субклеточной биологии, дифференциальная диагностика и стандартные психологические техники для быстрого и эффективного исцеления. Этот том"Терапии Пиковых Состояний" является справочником к "Пиковым Состояниям Сознания" и рабочей тетради "Исцелению От Всего Сердца. Доктор Грант Макфетридж-основатель Института Исследования Пиковых Состояний. Он является первооткрывателем в области пренатальной и перинатальной психологии, разработчиком техники регрессии Исцеление От Всего Сердца. 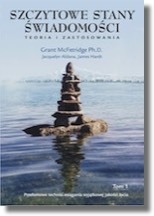 "So far, Dr. Grant McFetridge's Basic Whole-Hearted Healing Manual, now in its third edition, had been the only reference book on Whole-Hearted Healing, our regression healing method. 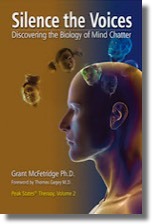 Grant's book is designed as a workshop manual, mostly with professional therapists in mind. Since I started teaching Whole-Hearted Healing, I've seen a growing need for a do-it-yourself trauma-healing workbook. Our Institute uses WHH mainly as a research tool, but each basic teaching session reminds me of its relevance as an easy-to-learn technique to heal past traumas. So this is a basic manual, designed for lay people with no previous experience. 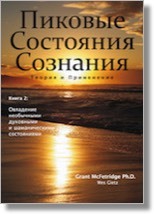 This book starts by introducing the concepts that form the foundation of WHH: the triune brain theory, as developed by Dr. Paul MacLean in the 1960s; the concept of a Centre of Awareness which is a locus for our sense of "self"; and the concept of "trauma stacks" or COEX systems, as defined by Dr. Stanislav Grof. To this it adds a technique to help speed the release of traumas: the "Loving-Yourself technique, as identified by Gay Hendricks and others, and the use of gratitude to return to the present, as written about by Jacquelyn Aldana. The main differences between WHH and other regression healing techniques is that Dr. McFetridge has recognized the necessity of being in one's own body, in the past, while regressing, as opposed to watching the past like a movie in front of oneself, and also the necessity of continuing the process until no traumatic sensations remain - past the stage of reframing or intellectual understanding that is the end point of most regression techniques. 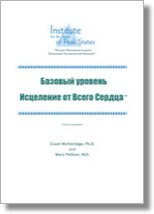 This book, after teaching the basic technique and a number of special situation that may occur during a healing session, goes on to suggest ways to integrate WHH with various other power therapies and healing modalities. 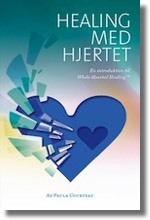 Healing med hjertet er den første bog om PeakStates og regressionsmetoden Whole-Hearted Healing™, der udkommer på dansk. "Hidtil har Dr. Grant McFetridge grundbog i Whole-Hearted Healing™, nu i sin tredje udgave, været den eneste bog om Whole-Hearted Healing™. Grants engelske bog er udformet som en workshop manual, for det meste med professionelle terapeuter i tankerne. Vores Institut bruger hovedsagelig Whole-Hearted Healing™ som et analyseværktøj, men hvert kursus minder Grant om dets relevans som en nem-at-lære teknik til at helbrede tidlige traumer. Så dette er en grundlæggende introduktion, designet til lægfolk uden tidligere erfaring. Denne bog indledes med en præsentation af de begreber, der danner grundlaget for Whole-Hearted Healing™(WHH): triune brain teorien, som er udviklet af Dr. Paul MacLean i 1960'erne, begrebet "center for bevidsthed" som er et sted for vores følelse af "selv", og begrebet "traumekæder" eller COEX-systemer, som er defineret af Dr. Stanislav Grof. Til dette det tilføjes teknik til at bidrage til at fremskynde frigivelsen af ​​traumer:. Elsk dig selv teknikken, som identificeret af Gay Hendricks og andre, og brugen af ​​taknemmelighed for at vende tilbage til nutiden, som skrevet om ved Jacquelyn Aldana. De væsentligste forskelle mellem WHH og andre regressions teknikker er, at Dr. Grant McFetridge har anerkendt nødvendigheden af at være i ens egen krop, i fortiden, under regressionen, i modsætning til at se fortiden som en film foran sig selv, og også nødvendigheden af ​​at fortsætte processen, indtil der ikke traumatiske fornemmelser tilbage - forbi stadiet for reframing eller intellektuel forståelse, som er slutpunktet for de fleste regressionsteknikker. Эта книга в конечном итоге стала первым учебным пособием по Исцелению от Всего Сердца, написанным для широкой аудитории. За более чем 15 лет Исцеление от Всего Сердца доказало свою ценность как эффективная техника исцеления травм, которая передает весь контроль в руки клиента и кардинально трансформирует проблемы в позитивные чувства. Ключевые идеи разработчика техники, доктора философии Гранта Макфетриджа, весьма успешно воплотились в жизнь. Для решительных новичков это подходящее руководство для самостоятельного изучения техники. •	Для тех, кто посетил мастер-класс по базовому уровню Исцеления от Всего Сердца или Пиковым Состояниям сознания, это – углубленный обзор полученного материала. •	Для людей, которые практиковали WHH (Исцеление от Всего Сердца) на протяжении нескольких лет, опираясь на Руководство по Базовому Уровню Исцеления от Всего Сердца, это – обновление, написанное для самой широкой публики, которое включает в себя последние достижения в нашем понимании травм и исцеления. •	Для психотерапевтов эта книга – помощник в объяснении сути WHH клиентам и таким образом предоставлении им возможности полноценно участвовать в собственном исцелении. •	А также это учебник начального уровня для студентов, работающих с пиковыми состояниями сознания. This book is an over-view of the entire spectrum of healing techniques. Our Whole-Hearted Healing™ is one of the techniques described. Trying to figure out where you are with your health problems, where you need to go and the best way to get there? You need a map to find your way around the amazing world of complementary or alternative therapies! Which therapies are right for you and your health problems? Find out in this easy-to-read guide to all of the therapies available outside the drugs-and-surgery world of mainstream medicine. Uncover the latest scientific research that's opening the door to therapies both ancient and modern that are available to help you improve your health. Discover health opportunities from Acupuncture to Zen Bodytherapy. Find out about the health benefits of Pilates, Yoga, and Massage. Learn about devices from Edgar Cayce's Radiac to the newest cold lasers. Hear from real people who've experienced these therapies and products. Locate free podcasts on the therapies you want to learn more about. 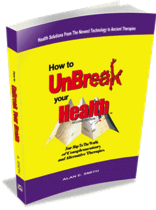 UnBreak Your Health™ offers proven healing techniques from the most modern innovations to ancient healing therapies. With 339 new and updated listings in 150 different categories this is the most complete book ever published on complementary and alternative therapies (no diets or supplements). This updated edition again focuses on therapies, systems and devices in the field of complementary, alternative and integrative medicine. Many topics also have accompanying podcast interviews with leaders and innovators in the field. 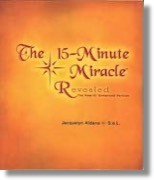 For more information on this book, with videos, go to www.UnBreakYourHealth.com. This textbook covers fundamental discoveries about the biological basis for spiritual and shamanic states, transpersonal experiences, and consciousness itself. 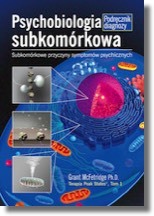 Derived from explorations into the very earliest prenatal development, this book describes how consciousness is based on biology inside the cell. Developmental Events: Spiritual and shamanic states are a legacy of our earliest prenatal growth stages. The Primary Cell: Consciousness extends from just one cell of the body. Triune Brains: The cell organelles are the basis of the ‘subconscious’ triune brains. Transpersonal Biology: Spiritual, shamanic, and psychic phenomena are based on access or perception of biological structures inside the cell. Inherent Dangers: Triggering certain prenatal traumas may cause serious or life-threatening problems. With this theoretical foundation, we can now understand what traditional spiritual and shamanic practices do at a biological level, as well as understand what makes different healing therapies effective. 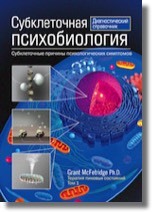 More important are the very practical applications – entirely new techniques for spiritual growth and healing become possible, through a synthesis of traditional concepts with modern microbiology. 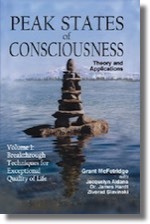 This textbook on the theory of peak states and the biology of consciousness is used in our therapist training classes. Although it is written for professionals, we’ve made it available for laypeople that are interested in the cutting edge of consciousness research and its applications to psychology and medicine. В этом учебнике описаны фундаментальные открытия о биологической основе духовных и шаманских состояний, трансперсональном опыте и самом сознании. В этой книге, полученной из исследований в самом раннем пренатальном развитии, описывается, как сознание основано на биологии внутри клетки. События развития: духовные и шаманские состояния являются наследием наших ранних стадий пренатального роста. Первичная ячейка: Сознание распространяется только от одной клетки тела. Триединые мозги: клеточные органеллы являются основой «подсознательных» триединых мозгов. Трансперсональная биология: духовные, шаманские и психические явления основаны на доступе или восприятии биологических структур внутри клетки. Непосредственные опасности: запуск некоторых травм в предродовой период может вызвать серьезные или опасные для жизни проблемы. С этой теоретической основой мы теперь можем понять, что делают традиционные духовные и шаманские практики на биологическом уровне, а также понимать, что делает различные лечебные методы лечения эффективными. Более важными являются очень практические применения - возможны новые методы духовного роста и исцеления путем синтеза традиционных понятий с современной микробиологией. Этот учебник по теории пиковых состояний и биологии сознания используется в наших учебных классах терапевта. Хотя он написан для профессионалов, мы сделали его доступным для мирян, которые заинтересованы в передовом исследовании сознания и его приложениях к психологии и медицине. found. Once you discover some of Life's best-kept secrets that are revealed in this book, you are likely to wonder how you ever got along without this life-altering process. "In only 15 minutes (that's less than 1% of your day) YOU can actually become the Happiest Person You Know!" How can I get better life? After I heal something, why am I not satisfied? What is the point of spiritual practice? Why do some people cruise effortlessly through their days while others struggle? A groundswell in new ways to approach therapy, psychology, spirituality, shamanism and mental health is happening worldwide. Until now, most of the new breakthroughs have been done in isolation. In this book, we share our work with each other for the first time - and give you a glimpse of the excitement and camaraderie of working in a field that changes daily, with new discoveries, syntheses, and controversy. This book gives laymen and professionals an experience of what cutting-edge research in the fundamental questions of mankind feels like. This volume, the first of a series, presents what we consider the best of this new generation of techniques for acquiring peak states, along with a unifying model that ties biology, psychology, therapy, and spirituality into a single whole. Witamy w nowej, ekscytującej dziedzinie badań nad szczytowymi stanami świadomości! Jak możemy poprawić swoje życie? Jaki sens ma praktyka duchowa? Dlaczego po uzdrowieniu problemu nadal nie czujemy zadowolenia z życia? Dlaczego niektórzy funkcjonują na co dzień bez większego wysiłku, a inni mają zawsze „pod górkę”? Na całym świecie wciąż pojawiają się nowe podejścia w psychologii, duchowości, szamanizmie, a także w terapii i sposobach poprawy zdrowia psychicznego. Dotychczas większość tych nowatorskich, przełomowych idei powstawała zupełnie od siebie niezależnie. W niniejszej książce po raz pierwszy dzielimy się z czytelnikami wynikami naszych prac. Chcemy pokazać radości i fascynacje, towarzyszące naszej pracy w tej nowej dziedzinie badań, która stale się zmienia i w której nieustannie dokonujemy kolejnych odkryć, często kontrowersyjnych. Zarówno laicy, jak i profesjonaliści znajdą w tej książce porcję wiedzy o niezwykłym obszarze badań, jakim są szczytowe stany świadomości, oraz o nowatorskich badaniach nad nowymi technikami pozwalającymi osiągać wyjątkową jakość życia. W niniejszym tomie, pierwszym z serii, omawiamy najlepsze naszym zdaniem techniki nowej generacji, służące uzyskiwaniu stanów szczytowych, a także przedstawiamy nowy model, który łączy wiedzę z dziedziny biologii, psychologii, terapii i duchowości w jednolitą spójną całość – „Model zdarzeń rozwojowych dla stanów, doświadczeń i zdolności szczytowych”. • Как я могу жить лучше?? • После того, как я что-то исцелил, почему я не удовлетворен? • В чем смысл духовной практики? • Почему некоторые люди достигают всего легко, в то время как другие вынуждены прилагать огромные усилия? Наводнение в новых подходах к терапии, психологии, духовности, шаманизма и психического здоровья происходит во всем мире. До сих пор большинство новых прорывов осуществлялись изолированно. В этой книге мы впервые сообщаем нашу работу друг с другом - и даем вам возможность увидеть волнение и товарищество по работе в поле, которое меняется ежедневно, с новыми открытиями, синтезами и противоречиями. Эта книга дает непрофессионалам и профессионалам опыт того, что такое передовые исследования в фундаментальных вопросах человечества. Этот том, первый в серии, представляет то, что мы считаем лучшим из этого нового поколения технологий для получения состояний пиков, а также объединяющую модель, которая связывает биологию, психологию, терапию и духовность в единое целое. 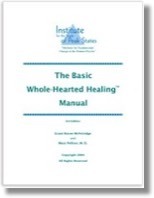 This is our training manual for the 4 day class we teach on basic Whole-Hearted Healing, which is a regression healing process that can be done from normal consciousness without any special work or processing. 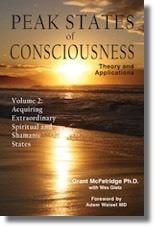 This book is an updated and expanded version of the material on the PeakStates.com website. It is intended for people who are actively healing others and wish to have more information, in one place, about the material on our website. This book contains the detailed, nuts-and-bolts content needed for laypeople and professionals to fully master the Whole-Hearted Healing regression therapy. This technique for trauma healing is the main research tool of the Institute for the Study of Peak States in our study of unusual states of consciousness. Whole-Hearted Healing is a simple, fast way to heal emotional and some physical problems. It exploits the insight that most of our present problems are due to long forgotten past trauma. We show how to recall these incidents and heal them so they are pain free, without using any special abilities, help, or settings. This book addresses conventional trauma as well as a large variety of experiences that are outside of the cultural norm - such as spiritual emergencies, unusual states of consciousness, and other important problems that are generally ignored by other therapies. For professionals in the field of trauma healing, this technique is particularly valuable and can be used in conjunction with other 'power' and 'meridian' therapies. The technique also gives easy access to pre- and perinatal trauma. We include two other important processes - Distant Personality Release which is extremely useful for couples therapy and interpersonal problems; and the Inner Peace Process which puts people into a particular peak state of consciousness where all past trauma stops feeling emotionally painful. This manual complements Peak States of Consciousness: Theory and Applications, Volumes 1 to 3. Эта книга содержит подробное содержание орехов и болтов, необходимое для мирян и профессионалов, чтобы полностью овладеть регрессионной терапией Цельного сердца. Этот метод лечения травм является основным инструментом исследования Института изучения пиковых состояний в нашем исследовании необычных состояний сознания. Цельное сердце Исцеление - это простой, быстрый способ исцелить эмоциональные и некоторые физические проблемы. Он использует понимание того, что большинство наших нынешних проблем связано с давно забытой прошлой травмой. Мы показываем, как вспоминать эти инциденты и исцелять их, чтобы они не болели без каких-либо специальных способностей, помощи или настроек. В этой книге рассматриваются обычные травмы, а также большое разнообразие опыта, которые находятся за пределами культурной нормы, такие как духовные чрезвычайные ситуации, необычные состояния сознания и другие важные проблемы, которые обычно игнорируются другими видами терапии. Для профессионалов в области лечения травм этот метод особенно ценен и может использоваться в сочетании с другими методами «силы» и «меридиана». Этот метод также обеспечивает легкий доступ к пре- и перинатальной травме. Мы включаем два других важных процесса: «Дистанционная личность», которая чрезвычайно полезна для терапии пар и межличностных проблем; и Внутренний мирный процесс, который ставит людей в особое пиковое состояние сознания, где все прошлые травмы перестают ощущаться эмоционально болезненно. Это руководство дополняет «Пиковые состояния сознания: теория и приложения», тома 1-3. 1.0 Aug 22, 2013: Reformatted the page content. Added the WHH Workbook entry.